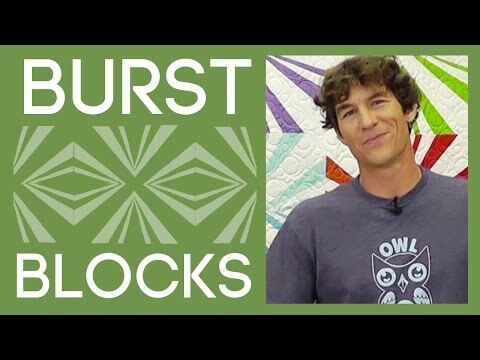 Man Sewing Burst Block Template for 10" Squares - Rob Appell - Missouri Star Quilt Co.
by Rob Appell for Missouri Star Quilt Co. This template has a specific burst block, but can make it in a variety of ways. The burst block fits on a 10" square diagonally. Man Sewing Burst Block Template for 10" Squares.